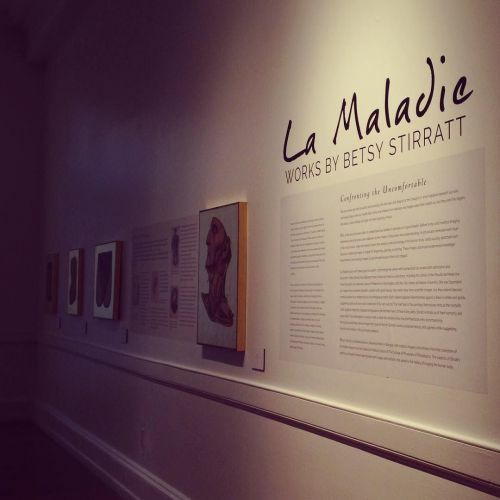 "We're busy with the finishing touches of a new exhibit, LA MALADIE by Betsy Stirratt. Oil paintings on gold of intricate anatomical maladies. Open this weekend and we know you're gonna love it! #philadelphia #art #medical #paintings #medicalart #sciart #science #anatomy #anatomical #goldleaf #pathology #painting #gallery #museum #rittenhouse" By muttermuseum on Instagram.